NEW BEDFORD, Mass. 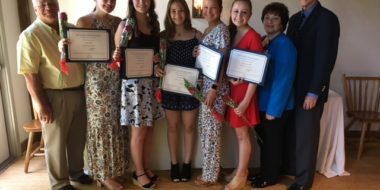 – The St. Luke’s Hospital Auxiliary recently announced $5,000 in scholarship awards for individuals who are pursuing a career in healthcare. 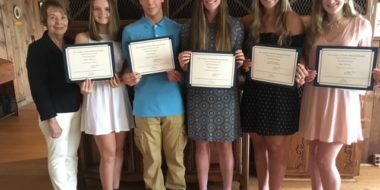 The Auxiliary presented five $1,000 scholarship awards to area high school seniors during its annual Scholarship Luncheon held June 10 at the Hawthorne Country Club in Dartmouth. 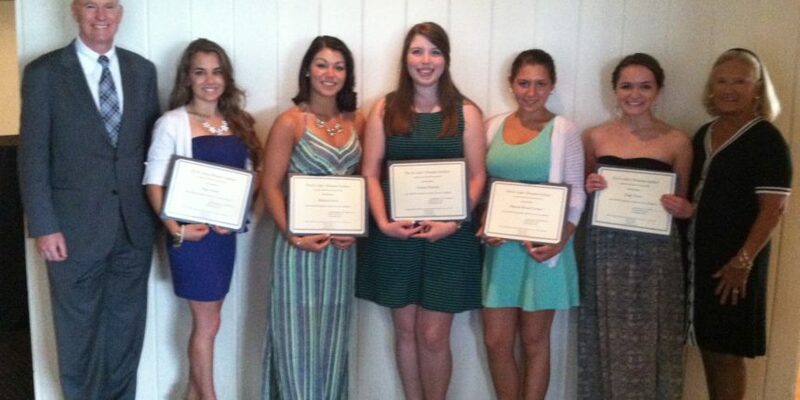 The awards were presented by Shauneen Crane, Scholarship Chair for the St. Luke’s Hospital Auxiliary. Paige Cabral, a graduate of Dartmouth High School, will attend Emmanuel College to begin her studies in Biology. 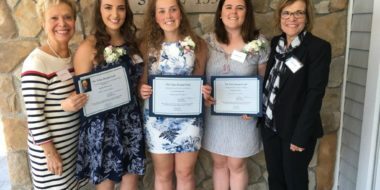 Makayla Cormier, a graduate of Dartmouth High School, will attend the Massachusetts College of Pharmacy and Health Sciences University to begin her studies in Radiation Therapy. Marissa Garcia, a graduate of Fairhaven High School, will attend UMass Dartmouth to pursue a degree in nursing. Chelsey Howard, a graduate of Dartmouth High School, will attend Salve Regina University to pursue a degree in nursing. Paige Teves, a graduate of Fairhaven High School, will attend UMass Dartmouth to pursue a degree in nursing. The St. Luke’s Hospital Auxiliary is a non-profit organization whose purpose is to render service to St. Luke’s Hospital, its tax-exempt subsidiaries, its patients and to assist in promoting the health and welfare of the community. Joining the Auxiliary is a great way to become involved in your community hospital. Members serve as ambassadors to the community on behalf of the hospital. For more information or to join, please contact Jennifer Szabo at 508-973-7472 or by email at szaboj@southcoast.org.